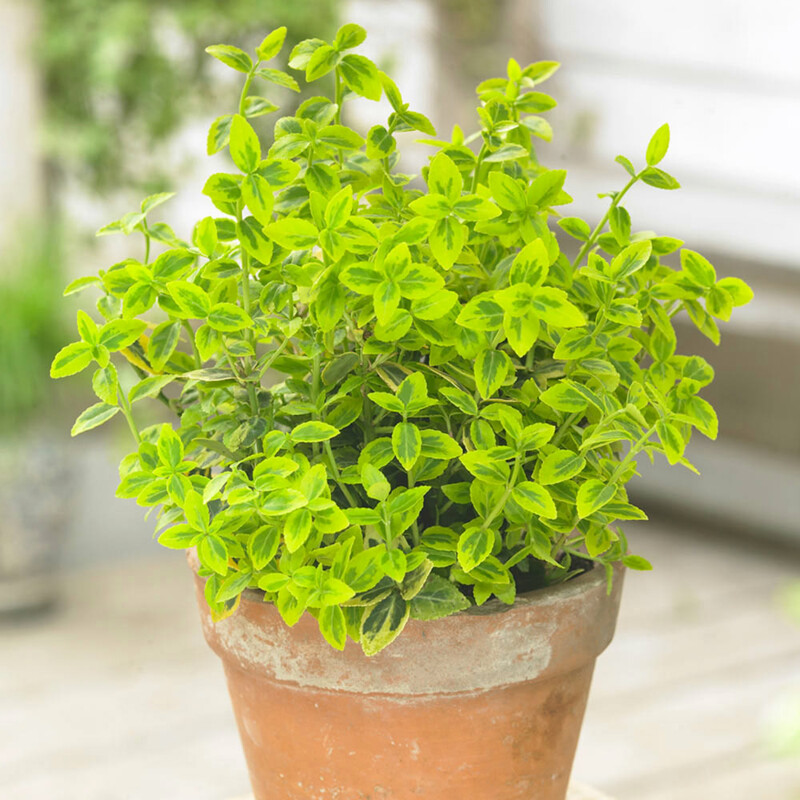 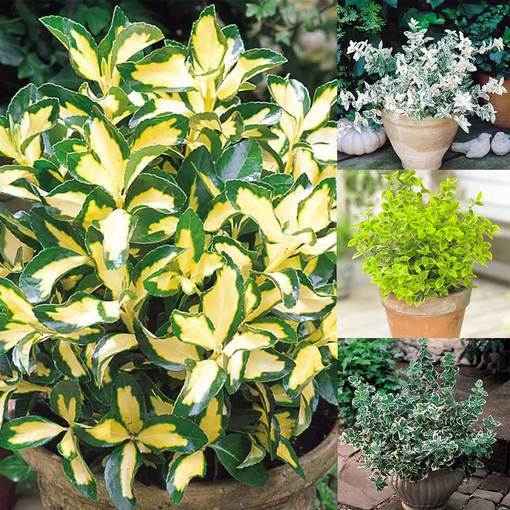 Brighten a neglected corner of the garden with this charming collection of Euonymus Dwarf evergreen shrubs. 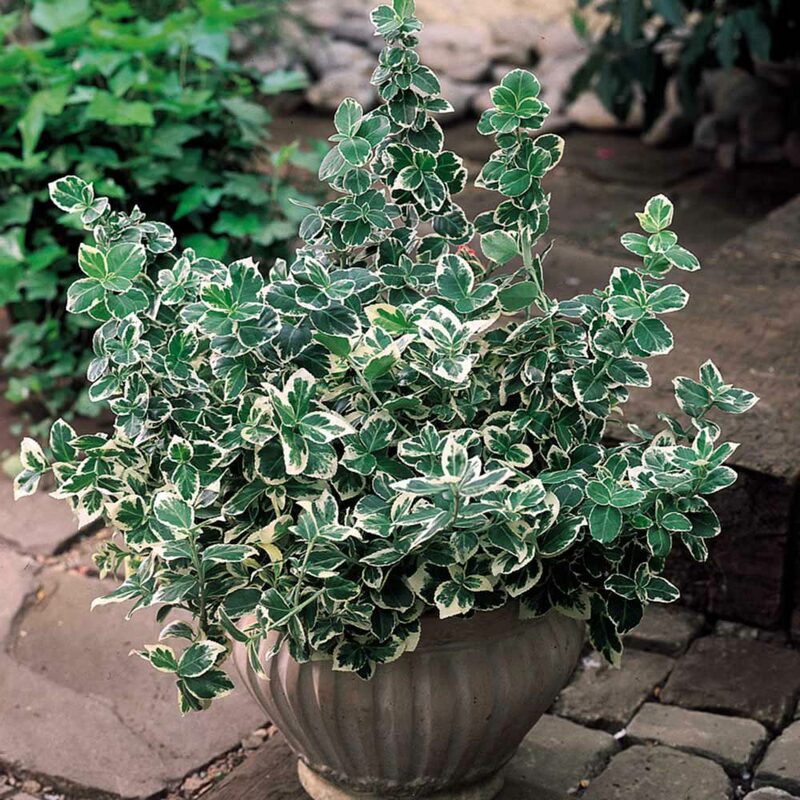 Euonymus plants are resilient, versatile specimens thriving in almost any position, making them a superb addition to the low maintenance garden. 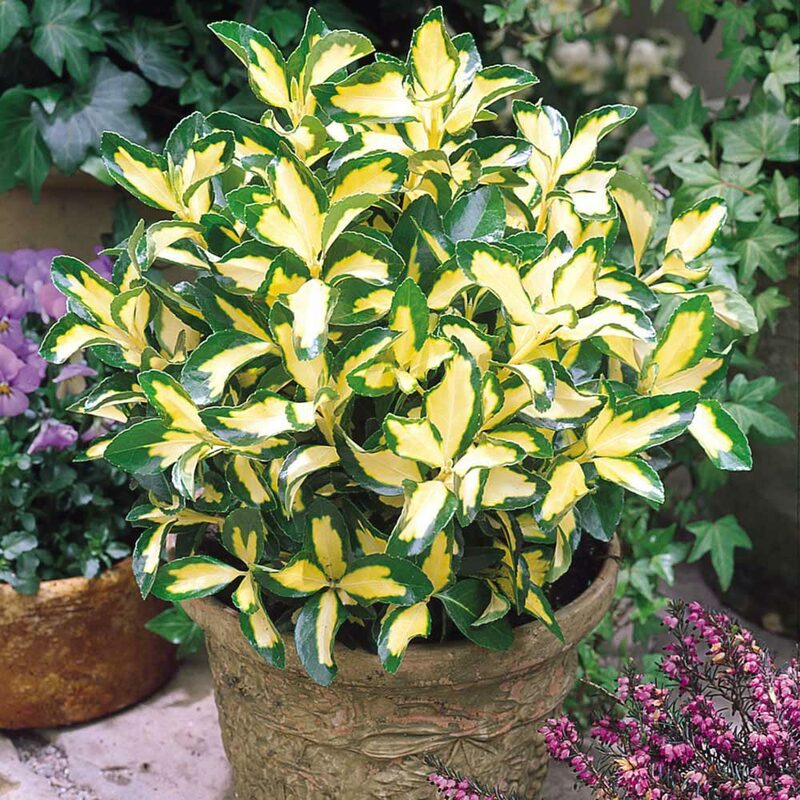 The collection includes one each of Euonymus Emerald 'n' Gold produces vibrant, variegated, green and gold foliage which blushes a subtle pinkish red during periods of cold weather, whilst Euonymus Emerald Gaity has attractive leaves of green and silvery yellow. Forunei Harlequin, an exquisite variety which begins white and develops green speckled markings with age, and Blonde Beauty creamy white with irregular markings. 9cm pot grown plants supplied. 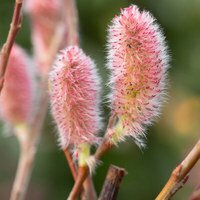 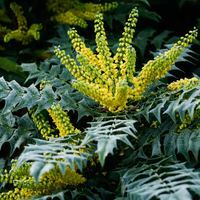 Fantastic evergreen shrubs that are compact enough to suit almost all garden locations. 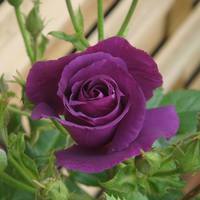 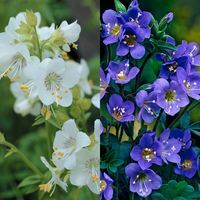 Can be grown as part of a border, rockery or perfect for patio pots. 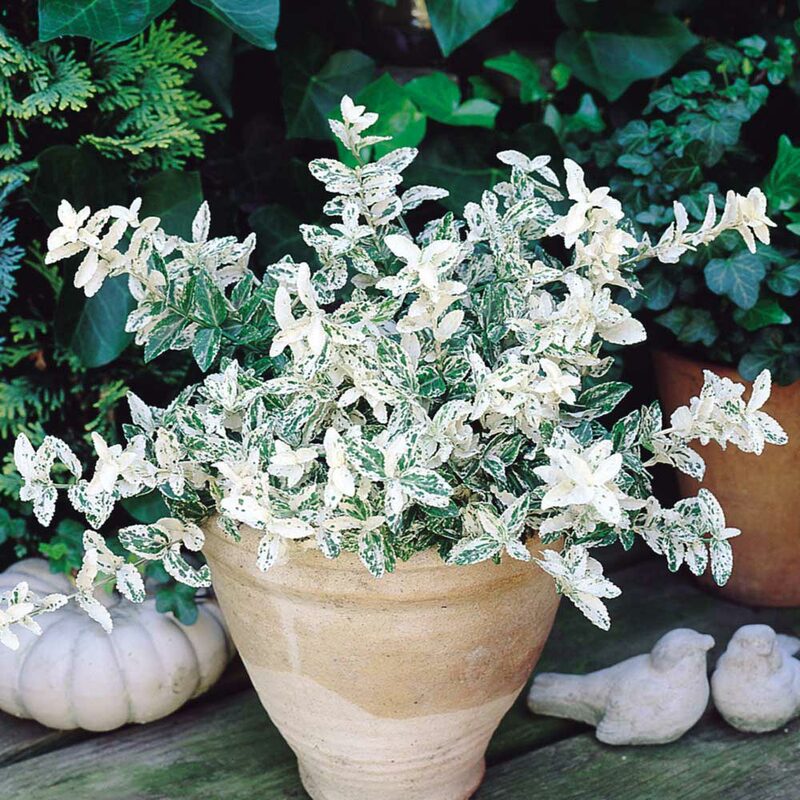 Water regularly during the growing season, and prune lightly once dormant in winter/early spring.